If you read my previous blog post, you know that I was having a little trouble with my Samsung 2493HM Syncmaster LCD monitor. I actually have 2 of them on my work station. I finally gave up on trying to repair it after the repair failed twice. 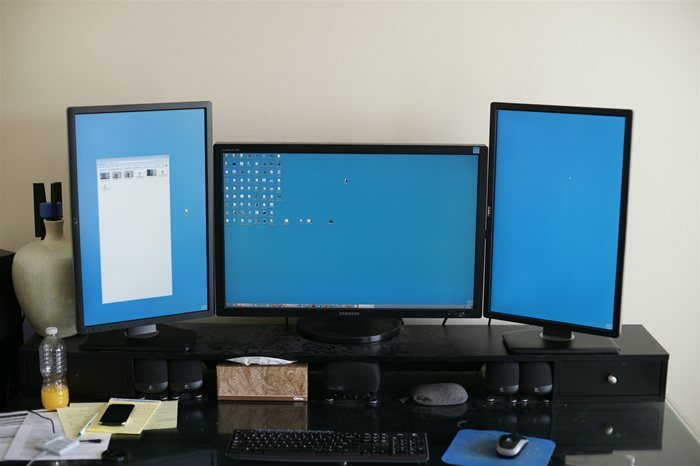 I have upgraded to Dell 24" LED monitors. LED monitors cost a bit more than their LCD counterparts, but the cost savings in energy are worth it. I break out the kill-a-watt meter and put my old monitors against my new ones.